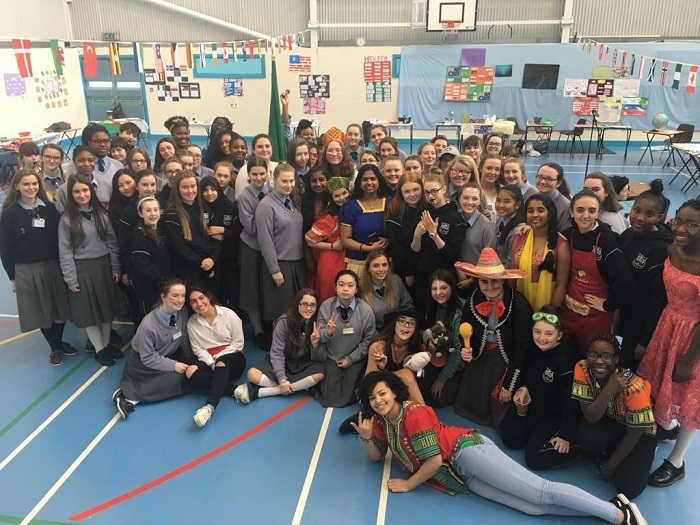 The Student Council, guided by Ms Doherty, launched its annual Inter-Culture Festival on 20 March and it ran until Friday, 23 March. During the festival we celebrated and learnt about all the different nationalities and cultures that are in our school community. We think the photos in these slideshows captured some of the atmosphere. Day 1: Lunchtime Disco and World Music in the Gym. Day 2: Lunchtime Henna Tattoos and Traditional African Headdresses outside the Library. Day 3: Lunchtime Language Classes in the Library. Day 4: All-Day Grand Inter-Culture Exhibition in the Gym.